Annually, SGS Ltd supply and fit hundreds of units to commercial and private customers, operating with the same exacting standards of the whole CTS Group. We offer no less than the highest premium service for you and your business. You can find an extensively quick turnaround service with the most competitive rates, as well as our rapid response team in Scotland. 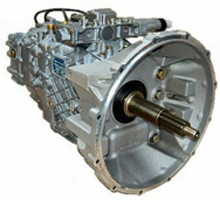 SGS Ltd offer an extensive service, working light vehicle transmissions for our private and commercial customer. For commercial and heavy plant transmission services, see Commercial Transmission Services Ltd. For propshaft services, see AT Engineering (Propshafts) Ltd.